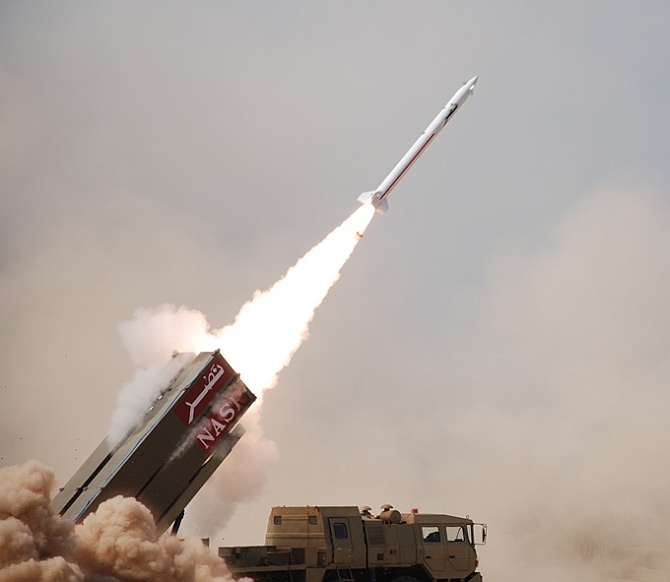 Pakistan on Wednesday successfully test fired short-range surface-to-surface ballistic missile ‘Nasr’, which army chief Gen Qamar Javed Bajwa said has put “cold water” on Indian military’s “Cold Start” doctrine. ‘Nasr’ is a high-precision weapon system with the ability to be deployed quickly, the army said. Pakistan Army has conducted a series of training launches and tests during the current week for validation of new technical parameters of ‘NASR’ with enhanced range from 60-70 kilometres and flight maneuverability. Cold Start is a military doctrine developed by the Indian Armed Forces for use in a likely war with Pakistan. He said Pakistan will go to any length to ensure regional peace and stability. He also supported government’s efforts for peace through talks. “We whole-heartedly support all government efforts towards peace through dialogue. Our capability is only meant to ensure, (that) no one thinks that war remains an option,” he said. He appreciated the training and preparedness of Armed Strategic Force and role of engineers and scientists for the milestone towards Pakistan’s credible deterrence capability. The army chief expressed complete satisfaction at the command and control system of the country and safety and security of all strategic assets. Pakistan President Mamnoon Hussain, Prime Minister Nawaz Sharif, and services chiefs congratulated the scientists and the nation over successful launch of the missile.